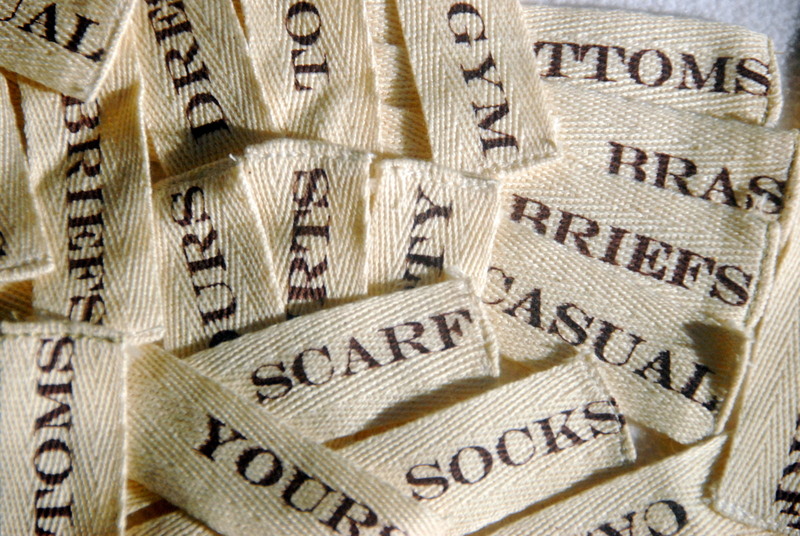 Soft, cotton labels that thread through the zipper pulls, telling you what each bag / drawer holds. For example, YOURS, MINE, TOPS, BOTTOMS, DRESS, GYM, CLEAN, DIRTY, HOT, COOL, etc. 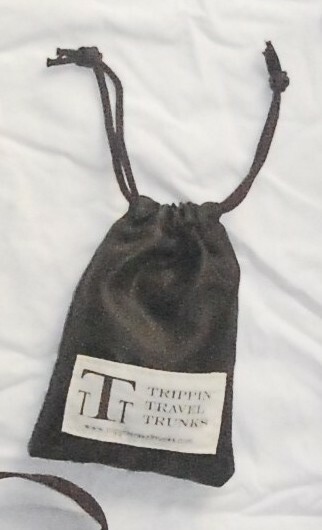 The labels come in a small drawstring TTT bag. A fun travel accessory to help organize your trip with almost compartments. 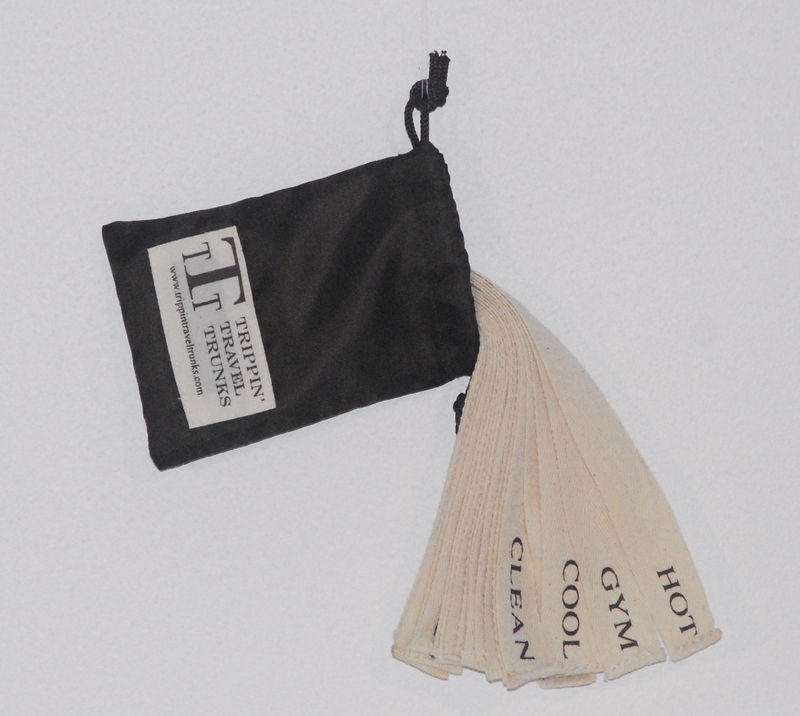 The bag of 20 labels comes with the TTT SET. Or you buy it separately here.